Struggling with your weight? Slim pHactor provides ultimate weight loss assistance because it helps to reduce the absorption of dietary starch and fat from your diet. Plus, Slim pHactor supports healthy blood glucose levels (once they are within normal ranges), and reduces appetite and sugar cravings. 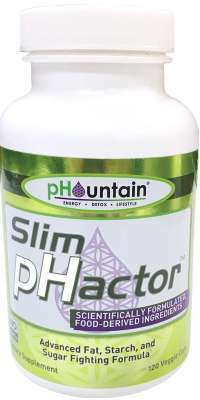 Use Slim pHactor in conjunction with a sensible diet and exercise program. You’ll look and feel great!